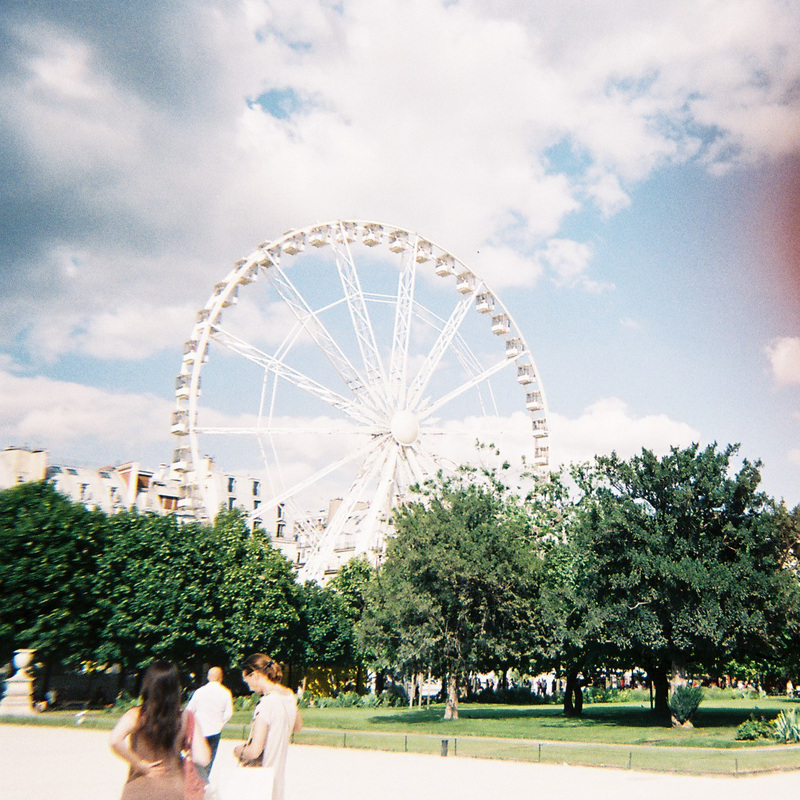 I've never not liked Paris. I only know one person who doesn't. As I am fortunate enough to be travelling back to this gorgeous city in a couple of weeks, I thought it'd be nice to put together some pictures from one of my favourite places in the world. Let's get the most obvious one out of the way shall we. 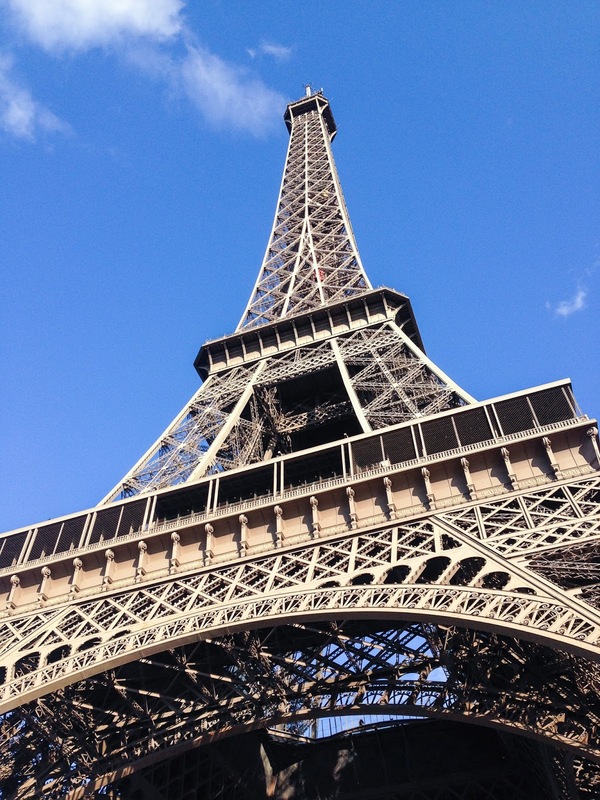 Possibly the most famous landmark in the entire world, you can't come to Paris and not go up it, can you? (Unless the infamously long queue is even longer than normal.) 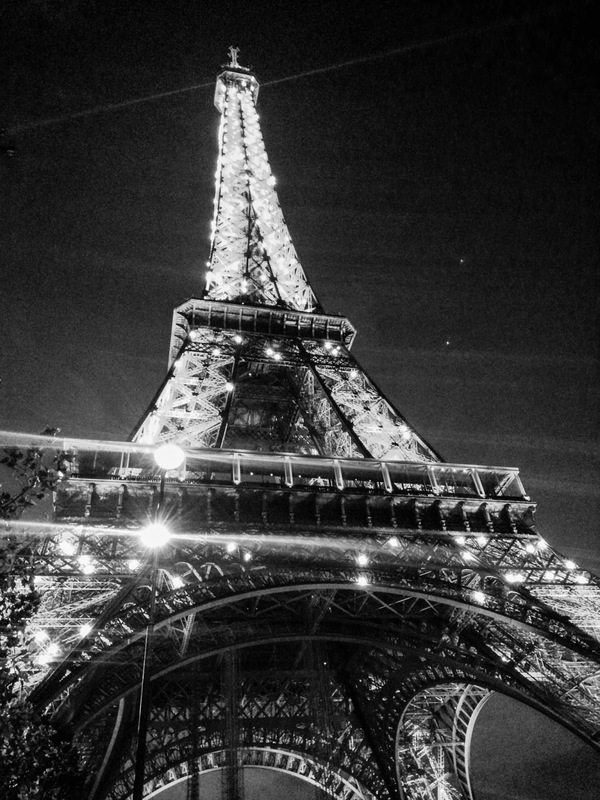 It's so iconic, a symbol of the city of love, and the perfect backdrop to pretty much any photo. Plus, the views from the top over the city are incroyable. 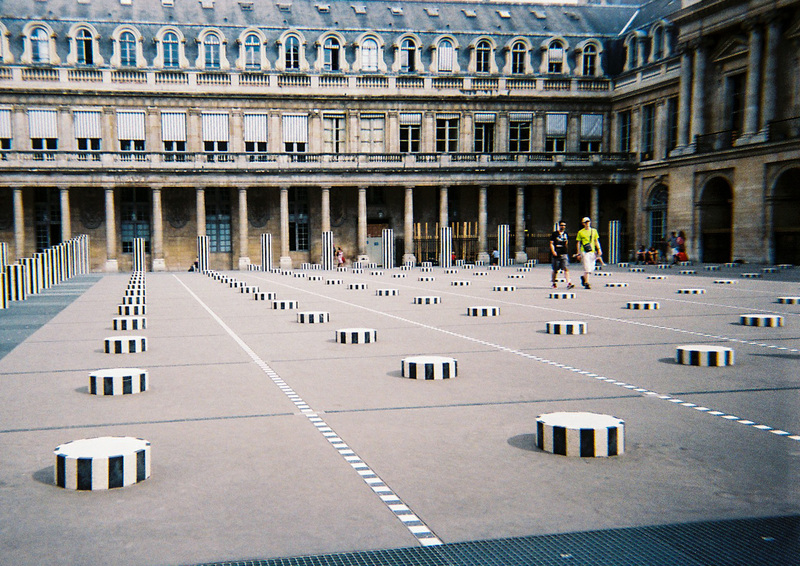 In the midst of the 1st arrondissement lies the ever-popular spot, the Palais Royal. I've only ever wandered around the grounds and gardens, and the courtyard spot above with the very instagrammable mini-circular bollards (I dunno what else to call them?) are a must-do. The architecture of the Palais itself is beautiful. 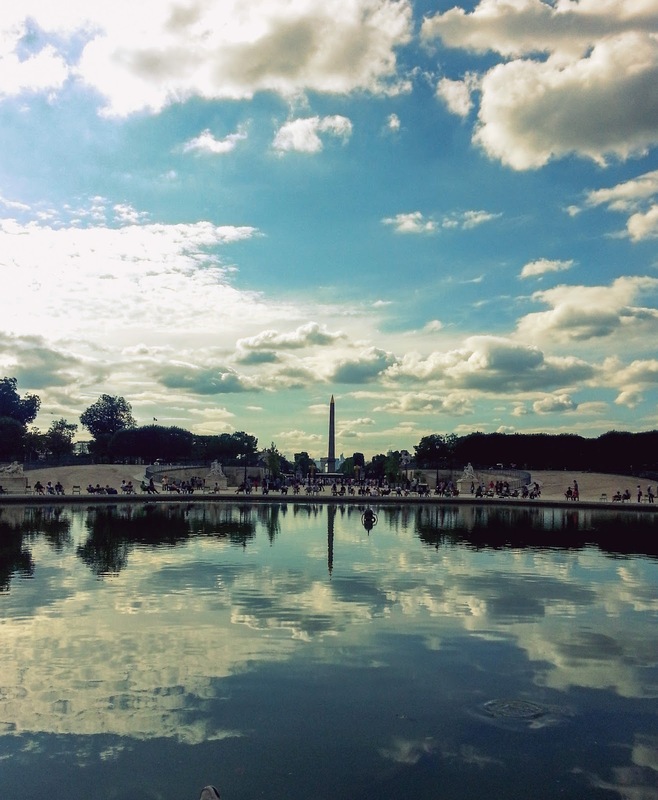 The Place de la Concorde is a huuuge square (the biggest in the city, actually) bang in the middle of Paris, with amazing views of the city around. The famous fountains by the big monument are gorgeous (I love a fountain), and any The Devil Wears Prada fans may be eagle-eyed enough to recognise this is the fountain that Anne Hathaway chucks her phone in when she realises she's done with putting up with Meryl Streep. I don't always see this area featured in Paris posts, but I love it, and it's very near the Champs Elysées. 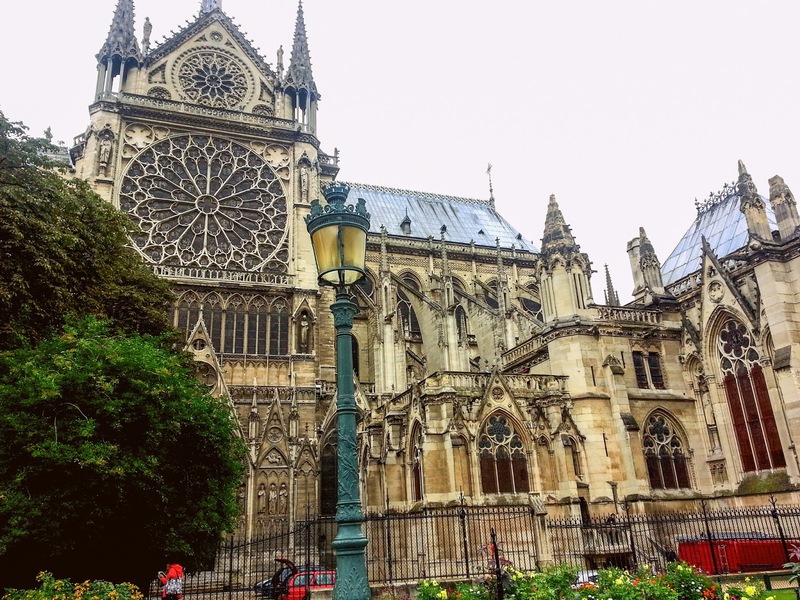 Notre Dame is special for me in quite a few ways. Not only is it stunning (inside and out) but I have a memory of coming here when I was having an anxiety attack at the start of my interrailing journey (read more about that here). It did me the world of good just having somewhere peaceful and quiet, where I felt comfortable, and I dunno...I just feel really happy looking back that I had that place to go that helped me so much. Anyways, it really is worth going to - the architecture is beyond beautiful and it's right on the river. Queues can be quite long to get in though, so get there early! 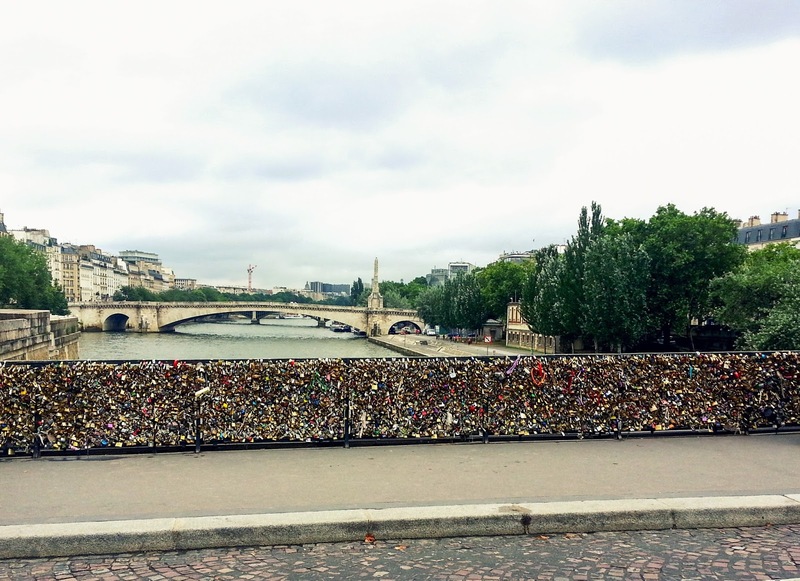 I know a lot of people go to the Pont des Arts for the same reason, but we happened to stumble across the Pont de l'Archeveche, and found yet another love lock bridge. It turns out that the Pont des Arts was actually cleared of all it's love locks because they were weighing the bridge down (!) so this bridge is another alternative if you're keen/ So of course, I went for it. The bridge has gorgeous views up and down the river, and it's only a stone's throw from Notre Dame. My mum actually recommended this beautiful place to me (so thanks Mum!). Again, it's really beautiful place to go if you need a breather or just a break from the hustle and bustle. 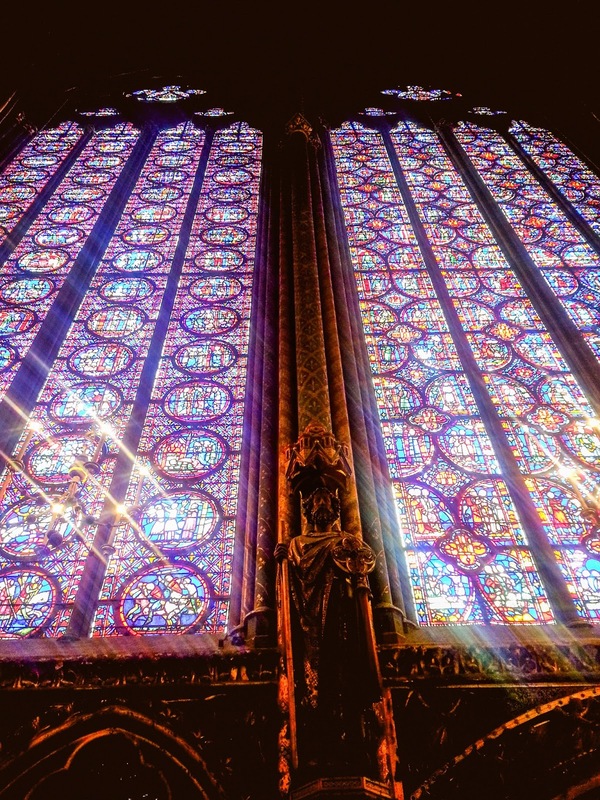 The stained glass windows are beyond stunning - I've really never seen anything like it. Trust me when I say you will be in awe. 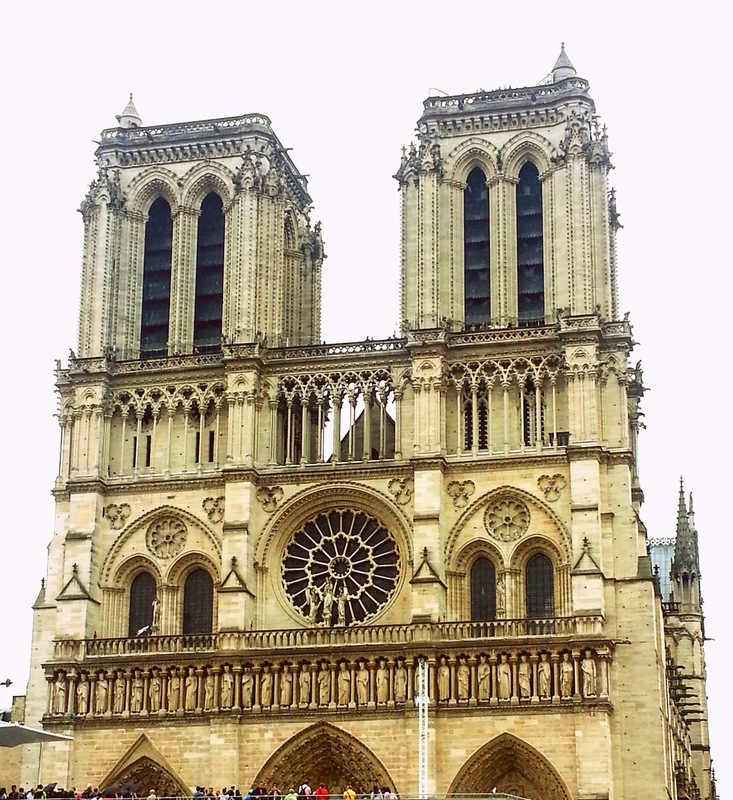 It's pretty easy to see visit both here and Notre Dame too, as they're just next door to each other! Be prepared to go through quite vigorous security procedures though. 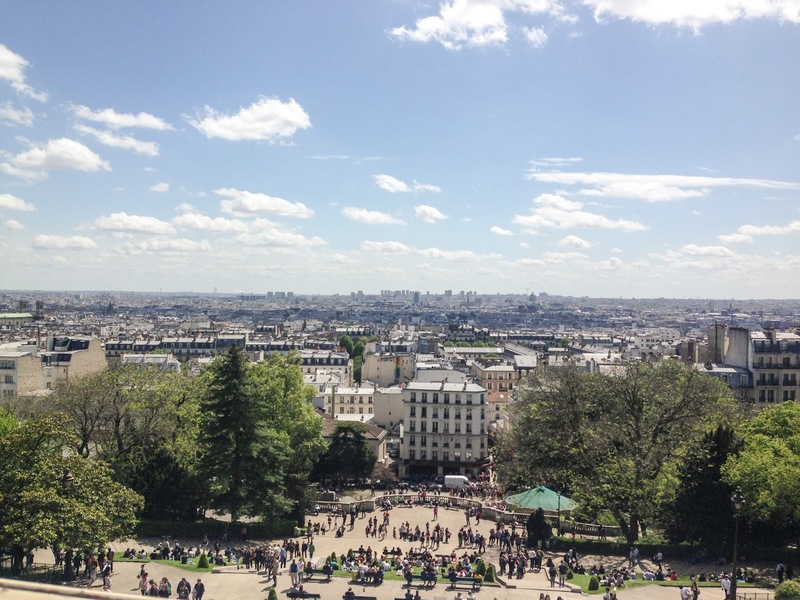 I've stayed in Montmartre before and I highly recommend it. 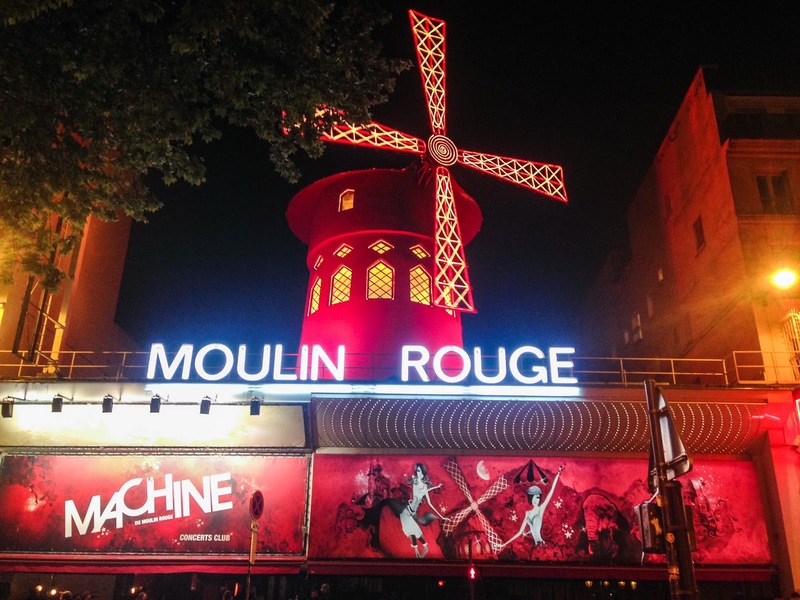 It feels safe, there are plenty of places to eat and drink, and it's so close to big attractions like the Moulin Rouge and Sacre-Coeur. If you head up one of the many alleyways around this area, there's a square where many an artist take up shop and you can find landscapes, portraits, and even get a caricature done. The area is known for it. Also, they have excellent ice cream here. 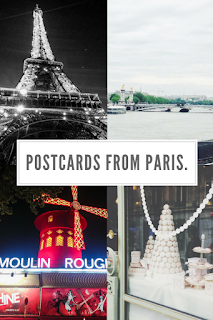 Start here by going straight to the Arc de Triomphe. I'm going to include the Arc de Triomphe in this, because really, it's at the northern most point of the road! Don't even bother trying to cross the crazy busy roundabout, because it is not worth the anxiety! 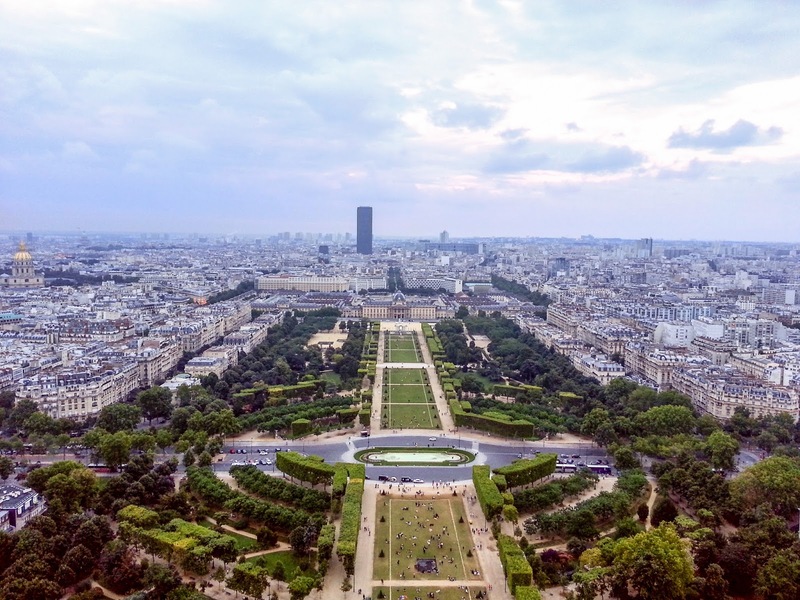 Instead, there are underground tunnels that you can take to get to the central point under the Arc (something I did not know until I was home, typical) and you can even go up it and get an amazing view! 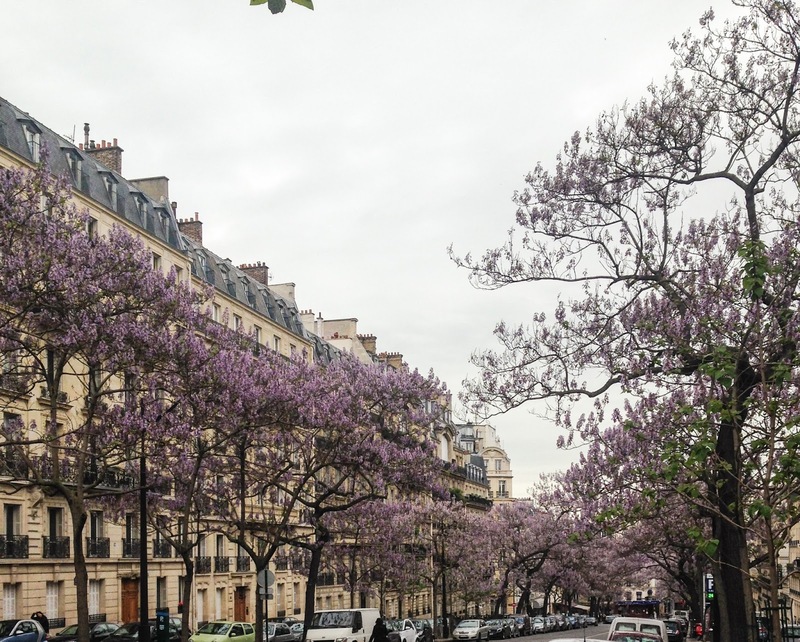 As for the Champs Elysées...this is one of my favourite streets in Paris because a) it's huge, b) it makes me feel that bit fancier when I'm really not, because of the amount of designer stores and c) I love the trees lining the road. Is that sad? I don't care.When I was last there it was WWII Victory Day, hence why the street is lined with French flags - which incidentally makes for a great photo! Oh, and Ladurée is here too! And here it is. 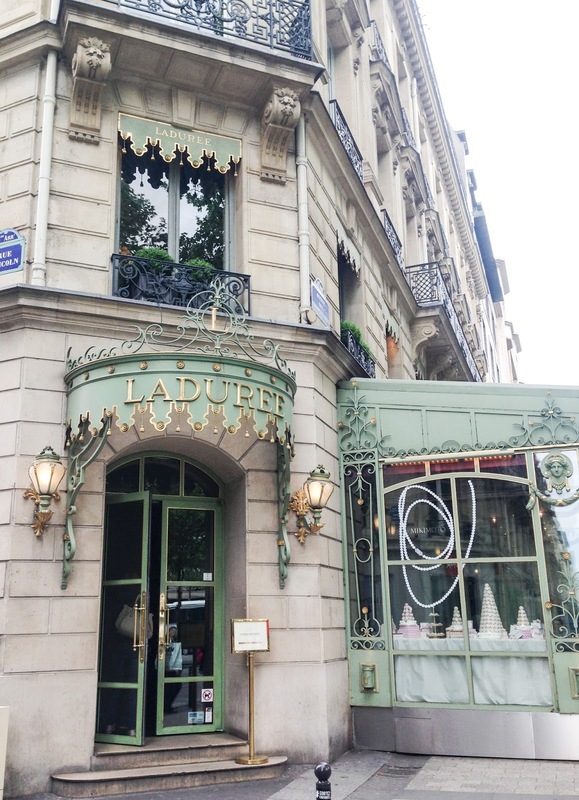 You can't go to Paris and not visit Ladurée. 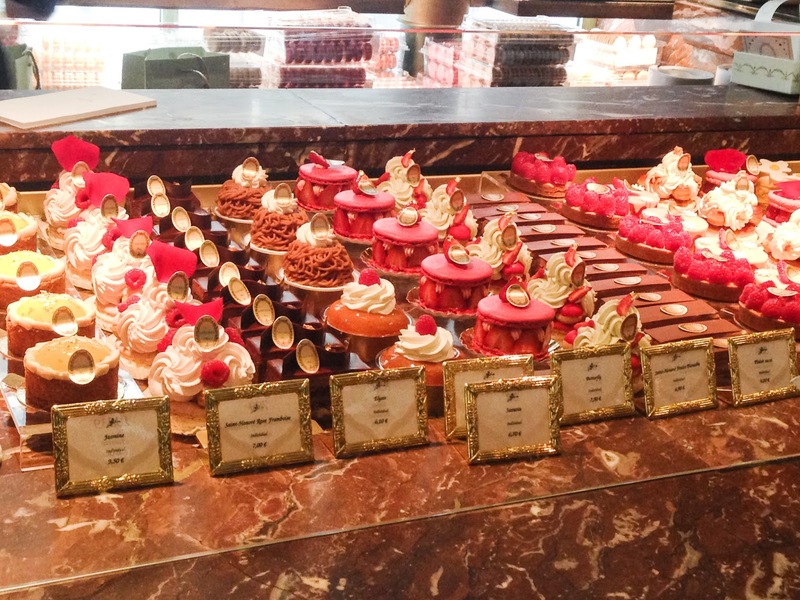 Even if you can't afford the super-expensive macarons, it's worth visiting just to see how beautiful the patisserie is. I know there are other branches around the city, and even the world, but the Champs Elysees branch is my favourite, and it's the flagship store. 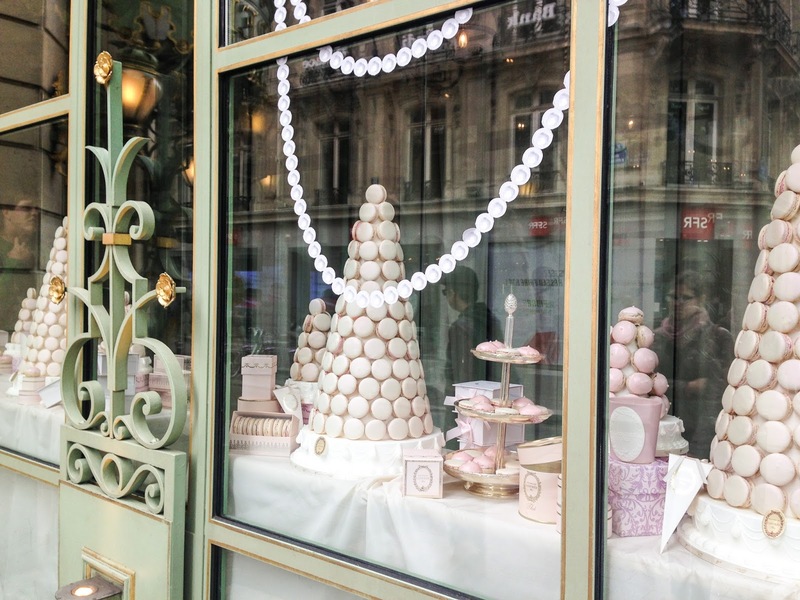 Don't leave Paris without a macaron! 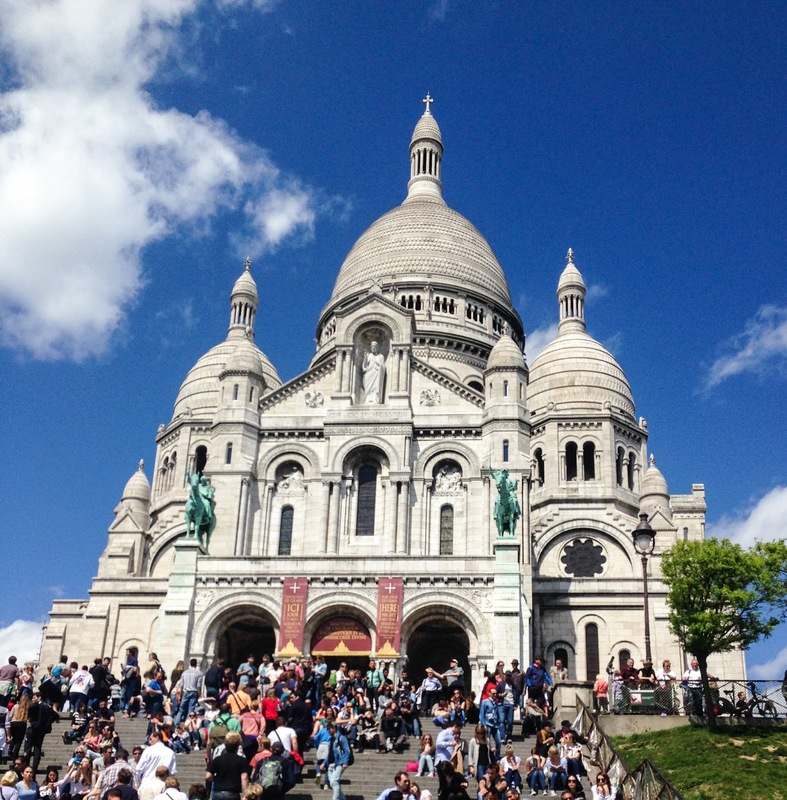 I highly recommend checking out the Sacré-Coeur. 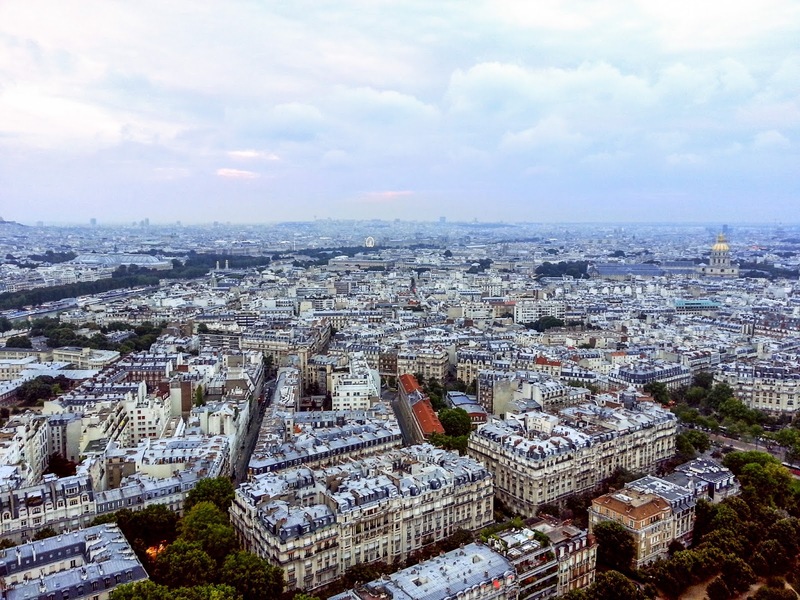 Located not far from Montmartre, heading here will give you one of the best views of Paris. The cathedral itself is beautiful too! Be sure to take the cable car up instead of walking, like I did, because that was painful for an asthmatic, unfit gal like yours truly. 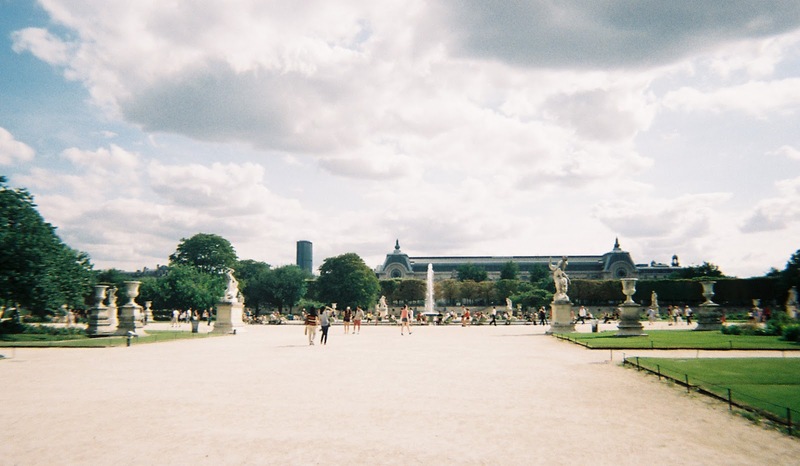 One of the first places I ever went to in Paris, Tuileries always has a special place in my heart. It's a huge, gorgeous park in the middle of the city, right next to the Palais Royal and Concorde. You can easily get lost amongst the hundreds of trees, or can curl up with a book and a coffee right by the fountain...maybe even take a ride on the famous ferris wheel in the summer. I need to come back here in the Autumn! So, those are the spots I've lived and loved so far, but I can't wait to explore the less-known areas of the city; cafes, art galleries, museums, boutiques...there's so much to find in Paris.